produced nothing short of unbelievable moments. Need we explain ourselves for this one? This was THE most inspirational moment of the year! Jonny was in the running to become a World Champion and he had put himself in the perfect position to do so, he was in first place with Spaniard Mario Mola behind, so all Jonny had to do was keep his position and finish and he would take the crown. He was there, at the finish line, the “Jonny has won it” tweet had been already sent and everyone was waiting at the finish line to get the winning photo shot. But then you heard it before you saw it, the crowds in Cozumel grasped and started cheering louder than we had ever heard them! Jonny had stumbled from heat exhaustion and was unable to finish on his own. 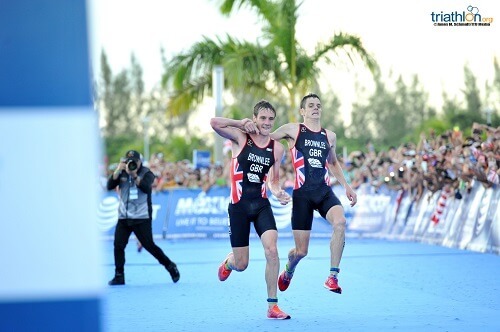 But then Alistair stepped in and grabbed him and helped him run across the finish line! 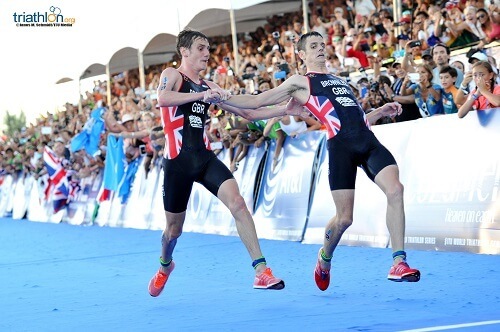 What an act, an act that made it’s way across the world as a symbol of true sportsmanship and brotherly love! 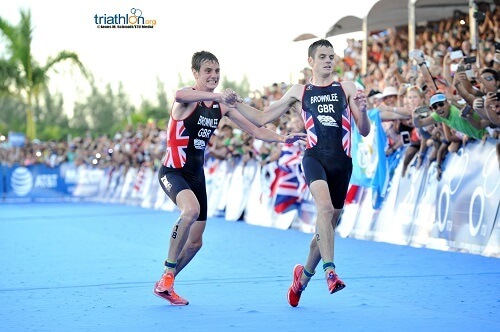 The attention received from the Brownlee brothers was overwhelming! But much deserved, after winning the gold and silver in the Rio de Janeiro Games together and then having this happen in the Grand Final, the world became aware of this duo and now they will be watching what they are going to do next! Through the month of December we will be naming the "Best of 2016" moments from the year, anything from top performances to inspirational finishes, because when you have a year like we just had, you have to celebrate it. Over the next few weeks we will be naming the "Best of 2016" moments from the year, anything from top performances to inspirational finishes, because when you have a year like we just had, you have to celebrate it. 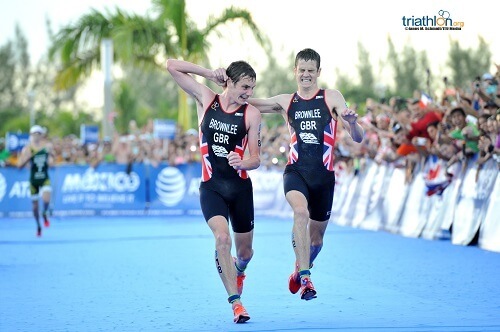 From the start to a dramatic finish, the 2016 ITU World Triahtlon World Championships Cozumel was one for the history books! So let's recap it with short social media snippets!